Kim Porter and Diddy Break Up? 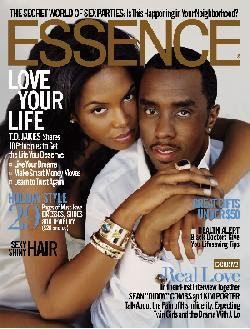 So the big broohaha is about Diddy and Kim, his baby-momma ten times over, are broken up. Whatever! Seriously, think about it. She might be better off. She will still be paid till the cows come home, plus she won't have to deal with his behing all the time. It sounds like a win win, if you ask me. Besides, I don't believe it. If the heifer weathered J-HoLo, she is not likely to go anywhere until she is good and ready.